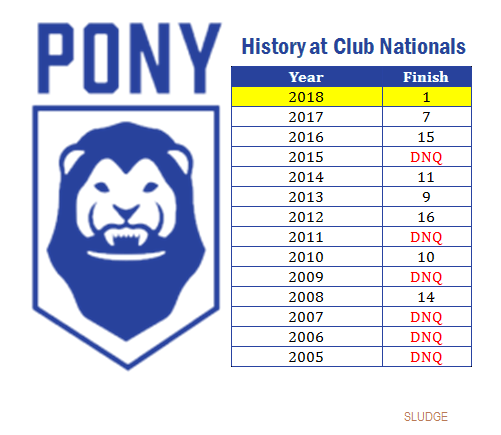 New York PoNY (Northeast Region) qualified for the USA Ultimate Nationals 8 times since 2005. In 2018, the men's club ultimate team won the USA Ultimate Club Championship. PoNY was coached by Berend Van Heuvelen, Bryan Jones and Jimmy Leppert. Prior to the 2018 season, PoNY had never finished in the Top-5 and finished in the Top-10 only twice.